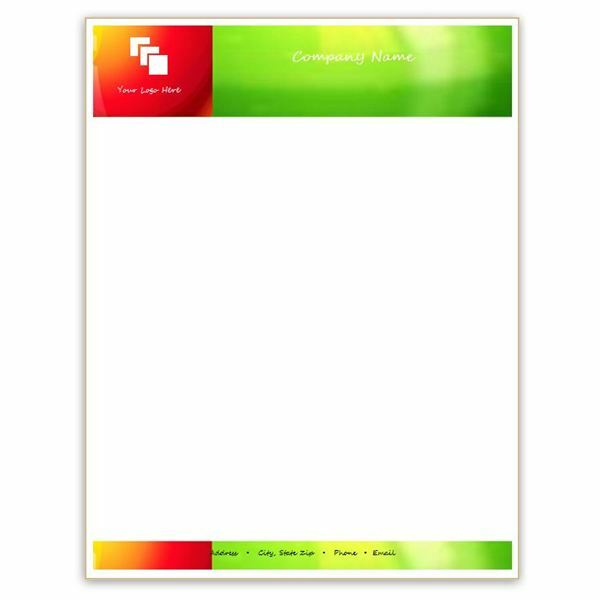 Each letterhead template listed below was created using Word 2010 and is .dotx format. This means the templates are compatible with Word 2007 and Word 2010. You can use them in Word 2003 as well, provided you have downloaded the Office Compatibility Pack, available at the Microsoft website. Along with instructions for using each template, you can view a larger image by clicking on the pictures provided. Click the provided link in each section to download. 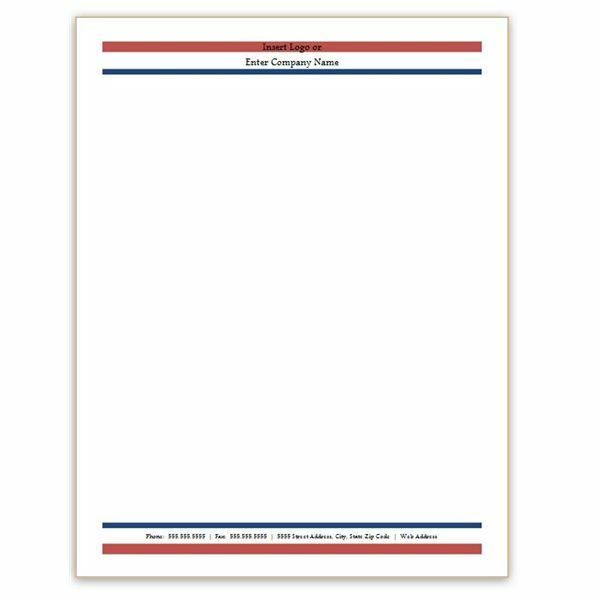 If you would like your letterhead to have a patriotic background or perhaps your business’s colors are red and blue, you may wish to download this letterhead template. It features narrow red and blue bars at the top and bottom of the page, with the bars at the bottom mirroring those at the top. You can insert company name, logo or personal name between the bars at the top of the page. In the white space between the bars at the bottom of the template, replace the sample phone number, fax number, street address and website address with your own. You can also opt to replace this information with other text, such as your email address or home and cell phone numbers. In order to type over the sample text or insert a logo, you must open the header and footer. To do so in Word 2003, go to the View menu and select Header and Footer. In Word 2007 or 2010, go to the Insert tab. Click on Header in the Header & Footer group to change the header, and click on Footer to modify the text at the bottom of the page. Save the document after entering your information to have custom letterhead in Word whenever you need it. 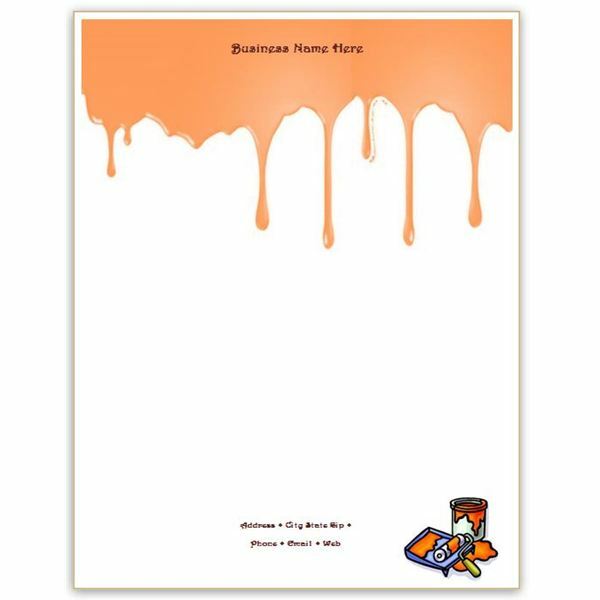 Letterhead templates for Microsoft Word certainly don’t have to be dull. Take this eye-catching option, for example. The template has a wide bar across the top in glossy red, green and yellow tints. The red section is the perfect platform for your logo, while the green displays your name with verve. The bar is mimicked across the bottom, albeit in a thinner size. Your contact information, including address, phone and email, are shown in a casual yet noticeable Segoe Script font. To customize this letterhead template, you will need to edit the header and footer as mentioned in the previous section. Replace the sample logo with your own or remove it altogether if you choose. Type your contact information over the sample text, leaving the bold dots between each item for better legibility. Save the template with your changes to use it as needed. 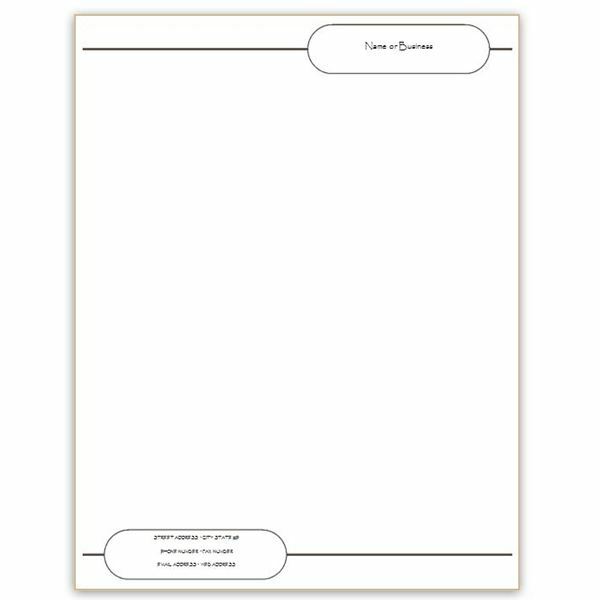 Perhaps you would prefer a letterhead template that is a bit more unassuming. If so, check out this option that features a simple oval and line design. There is a large, oblong bronze colored oval outline on the top right of the page, with a straight line in the same color running horizontally from each of the page’s borders to the corresponding edge of the oval. The design repeats at the bottom of the page with the oval on the left. To personalize this template, click on the oval into which you want to add your information. There is a text box atop each one that is not visible unless you click there. Select the sample text provided in the template and replace with your own name, address and other information. Of course, you can change the font and type of information you provide, if you choose to do so. Do you like letterhead templates for Microsoft Word that are a little more feminine and pretty? You might enjoy this template, which has a wide border of purple, teal and green dots and circles in an almost floral design across the width of the top and a more narrow band across the bottom of the page. You will need to edit the header and footer, as explained in the first template’s instructions, in order to customize this template with your name and contact information. Your name or business name and logo appear in striking all-caps Castellar font and your contact information is displayed in a more low-key Times New Roman. 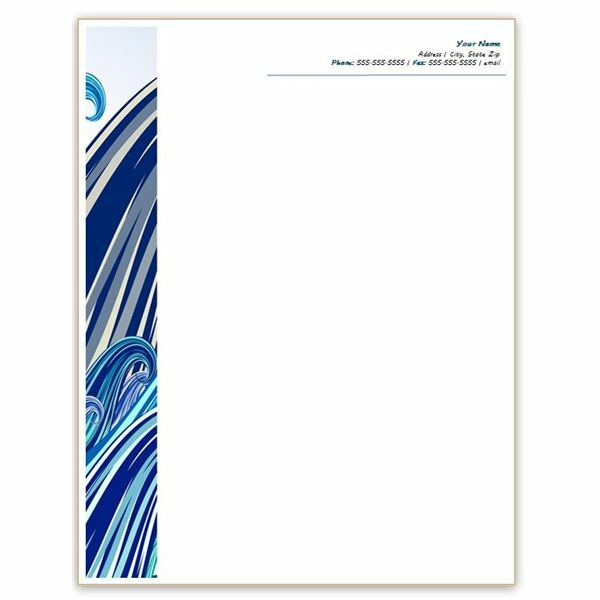 The design of this letterhead template for Word features a thick border ocean waves in striped, swirling blues. Your name and contact information are all at the top of the page aligned to the right. The blues of the border are picked up in the contact information, with part of the text in turquoise and a light blue line beneath it all. The contact information section is in a text box, so all that you need to do is click on the text you want to change and type over it. Whether you are a painting contractor, an artist or simply someone who enjoys letterhead templates for Microsoft Word that are fun to look at, you will appreciate this option. Orange paint “runs” down the top border of the page and a matching paint can sits in the bottom right corner. There is a text box over the paint at the top of the page into which you can type your name or insert your company logo. Another text box at the bottom makes it easy for you to add your address, phone number and other information.